Adult Dentistry Reedsburg WI | Treatment for sleep apnea, migraine headaches, root canals! The link between diabetes and gum disease is a vicious cycle. Each condition is aggravated by the other and makes treatment of both difficult. Poor dental health creates additional challenges to successfully controlling your blood sugar levels. Not all dentists are equally prepared to assist diabetics with their dental health. Here at Hatch Dental, we've received special training in diabetic dental care. 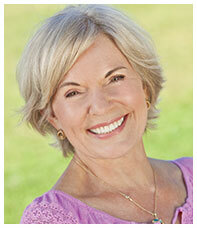 Call us today for a complimentary consultation about dentistry for diabetics. 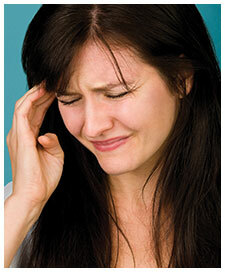 Are you afflicted with frequent headaches, aching or popping jaws, or neck and shoulder pain? If so, these can all be signs you're suffering from a TMJ disorder. When your temporomandibular joint (TMJ) is out of place, your whole body can suffer. Worn or missing teeth, dental disease, or a variety of other factors can cause your jaw to be unable to settle into its natural relaxed position. This shifting of your jaw joints alters your "bite" (dental occlusion) and a host of other problems can result. In a highly technical procedure known as full-mouth rehabilitation, we can help you restore your dental occlusion and return your jaw to the position nature intended. Stop living with the pain and discomfort. Let us help you recover your quality of life. Wellness care is a program for learning how not to become ill, and that's what we practice in our office. We can heal your teeth and gums and repair damage just like any other dental office, but we go a step further and show you how to avoid dental problems before they become trouble. It starts with a thorough examination. Most of our patients say they've never experienced such an extensive examination of their gums or teeth. We examine your bite and how your teeth fit together. We screen for oral cancer, gum disease, signs of wear on your teeth, and any other issue that might cause you concern at a later date. We want to head off difficulties and make your teeth and gums healthier, so you will be spending less time in the dental chair! Sleep apnea is a condition in which your airflow is interrupted or stopped during sleep. Symptoms and side-effects include excessive drowsiness during the day, loud snoring, and interrupted breathing patterns while you sleep. 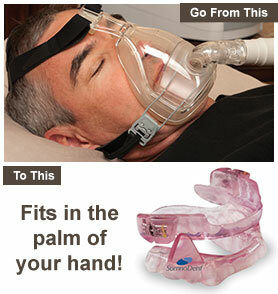 A CPAP machine is the most common treatment for sleep apnea. The patient is fitted with a machine that pumps a continuous stream of air into the patient's nose or mouth throughout the night. However, between the mask, hoses, and noise, many people find they can''t tolerate the device and give it up. If you have sleep apnea and are frustrated with your CPAP, you should know modern dentistry has new treatment options available such as oral appliances. You could be wearing a small acrylic device that fits over your upper and lower teeth similar to an orthodontic retainer or mouth guard. A gentle realignment of your tongue and jaw opens your airway and allows more air flow into your lungs as you sleep. These appliances are easy to insert and remove, a snap to clean, and convenient for travel. If you snore or a physician has diagnosed you with sleep apnea, give us a call today. Third molars – typically known as wisdom teeth – are located at the very back of the mouth and develop later than other adult teeth, usually between the ages of 17 and 25. If they don't fit in the arch of the upper or lower jaw, they can become impacted. This happens because the tooth can't grow straight up and becomes enclosed in the jaw bone instead. 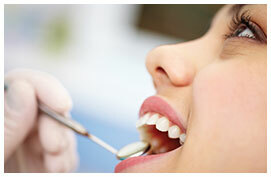 Various problems can result, as wisdom teeth push and crowd other teeth, making them grow in improperly. Because they're difficult to keep clean, cavities develop easily in these and adjacent teeth. Infection can even occur in the jaw bone. The best solution is to have them removed as soon as they develop, before these problems occur and before the density of the jaw bone increases, making it more difficult to extract them. Sedation is available to make you comfortable during your visit, and you'll be at easing knowing Dr. Hatch has extensive oral surgery training with a VA internship. If it's time for your next cleaning, or if you're ready to schedule a no cost/no obligation consultation, call us now at (608) 524-4775.